This vaccination campaign aims to transform futures in Tanzania. 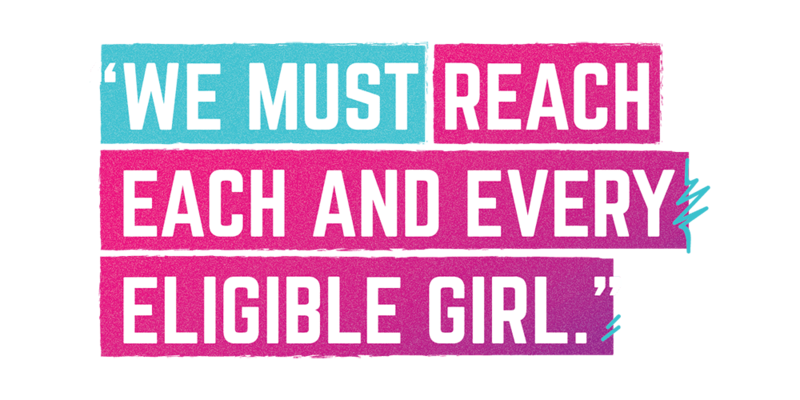 Bright pink: the color of a ticket to cervical health for girls in Tanzania. The nearly neon-pink cards are handed to girls who have been vaccinated against human papillomavirus (HPV)—an infection that puts women at a high risk of developing cervical cancer. A safe, affordable vaccine protects against many of the strains of HPV that commonly cause cervical cancer. 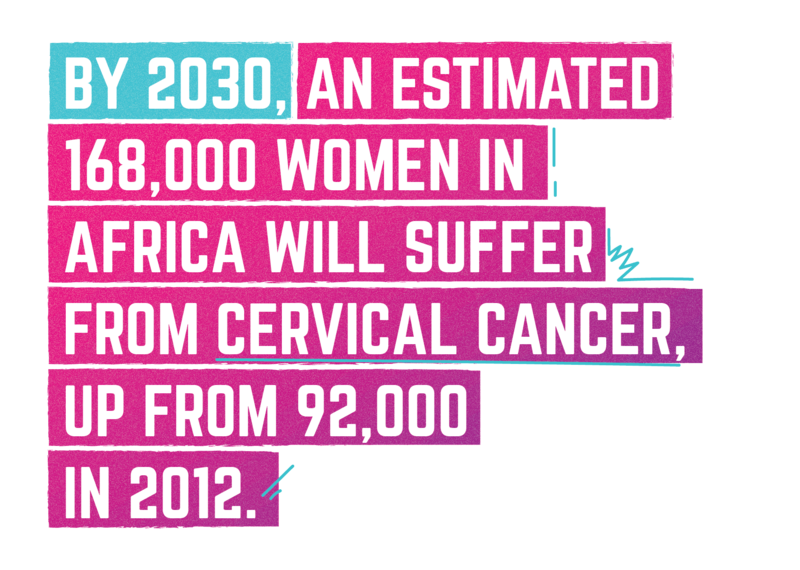 Each year in Tanzania, an estimated 4,000 women die of cervical cancer—a fully preventable disease. 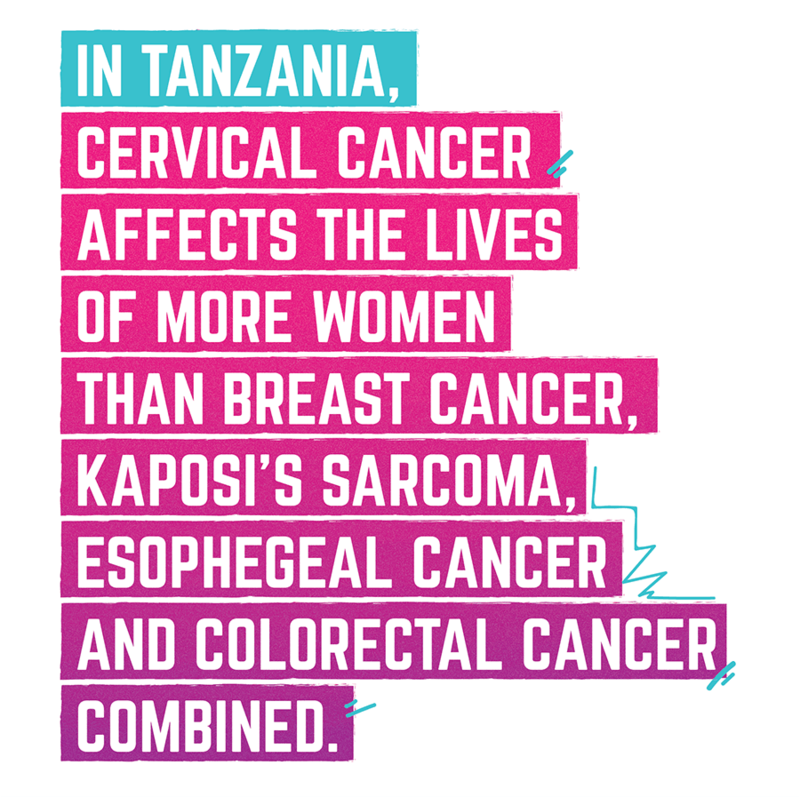 It’s the leading cause of death for women diagnosed with cancer in Tanzania, and it affects the lives of more women than breast cancer, Kaposi’s sarcoma, esophageal cancer and colorectal cancer combined. This is why Jhpiego, with funding from Gavi, the Vaccine Alliance, in partnership with the Government of Tanzania, aims to reach tens of thousands of young girls with HPV vaccinations. Tanzanian Vice President Samia Suluhu and other key figures took part in the national launch of the vaccination campaign in the spring of 2018, in Dar es Salaam, noting the transformative impact that the campaign will have on the women of Tanzania. “We are protecting our future women army,” Vice President Suluhu said. “My mother died due to cervical cancer…I really encourage you to ensure you reach more girls and make sure they are all vaccinated.” As more women are vaccinated against HPV and escape the threat of cervical cancer, communities will increasingly reap the long-term benefits of girls who grow up to be teachers, mothers, doctors, business owners, lawyers and leaders. At the launch, Hadija Bakari and Neema Felix, 14-year-old schoolgirls, were immunized and presented with the pink tickets—a symbol of a life unburdened by the worry and threat of a preventable illness. With one more dose in 6 months, Hadija, Neema and thousands of other girls aged 9 to 14 will be protected against many strains of HPV that cause cervical cancer. For girls who are living with HIV, the HPV vaccine is similarly effective with an additional, third dose. Teachers played a key role as well—even beyond the national launch event. During the regional kickoff of the campaign in Iringa, one teacher from each of the 663 schools was oriented on the HPV vaccination strategy—and how their schools will be linked with health facilities to promote student uptake. This campaign to ensure women across the country have access to cervical health services, together with technical advising at a countrywide level through the United States Agency for International Development’s flagship Maternal and Child Survival Program, promises to dramatically decrease the number of women dying of cervical cancer in the coming years. 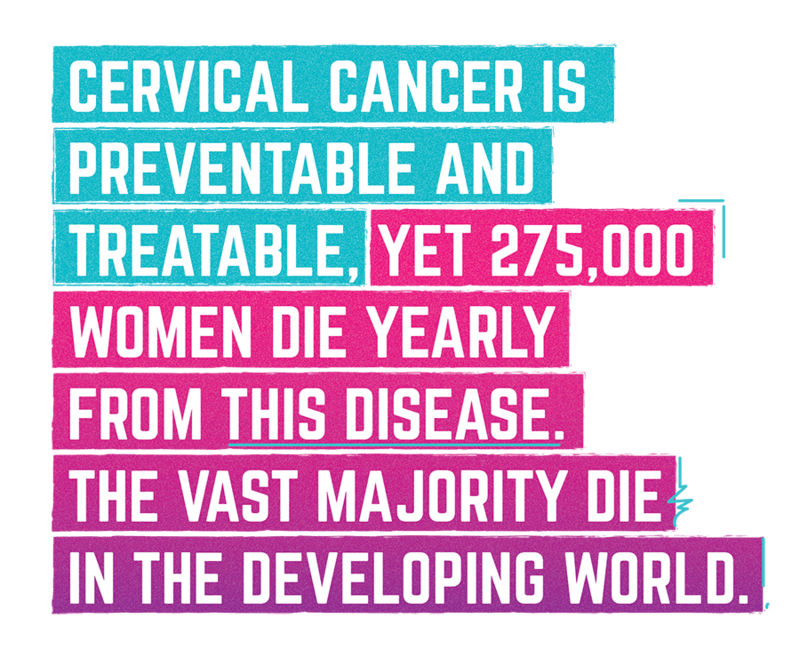 The efforts will help reverse a trend that shows an alarming rise in cervical cancer deaths in the coming years. Jhpiego undertakes an integrated strategy to combat cervical cancer, including vaccinating young girls and ensuring wide availability for screening and treatment programs for all eligible women. For more than a decade, Jhpiego has been a leader in cervical cancer prevention—from affordable, community-based and mobile efforts to screen women and treat precancerous lesions in a single visit, to efforts today to build national policy and promote HPV immunization. In the past 3 years alone in Tanzania, nearly 30,000 women have been screened for cervical cancer at Jhpiego-supported sites, and 98% of eligible women who needed treatment received it on the same day with cryotherapy. Together, Jhpiego and the Government of Tanzania will not rest until every girl in Tanzania holds a pink ticket to a bright, healthy future free from cervical cancer.